In the morning at around 7 am you will meet with your driver guide who will brief you about the entire trip before you set off to Bwindi Impenetrable forest. Visit the equator and Mpabire drum makers as you transfer to the Home of the Mountain Gorillas. Drive to proceed to Mbarara and stop at the Igongo cultural centre for lunch before you drive to proceed to Bwindi. Igongo cultural site has a museum that gives you an insight about the Culture of the Banyankole people that Inhabit Mbarara district. On arrival in Bwindi, you will check into your room to have dinner and relax as you prepare for the trek the next day. Standard accommodation – Buhoma Lodge / Silver back lodge / Gorilla Resort Camp/ Nkuringo camp site / Gorilla Safari Lodge. Start this day with an early breakfast and then transfer to the park headquarters for briefing. After briefing you will be allocated a gorilla family to track. Through the forest, you will start the search for the Mountain gorillas. On meeting the gorillas you will spend 1 hour following them and taking pictures. The time taken trekking and hiking through Bwindi, you forget the hussle the you went through. You will spend one hour following them and watching them feed and play. After you will return to the starting point and return back to your lodge. Overnight at your previous Lodge. In the morning right after breakfast, you will drive to transfer back to Kampala. The drive from Bwindi to kampala is 9 hours. However you can opt to fly and this will cost you extra USD 350 per person per way. 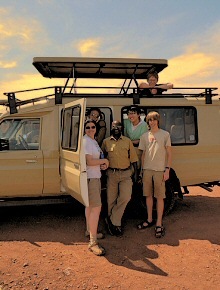 End of your Uganda Safari Holiday Visit. 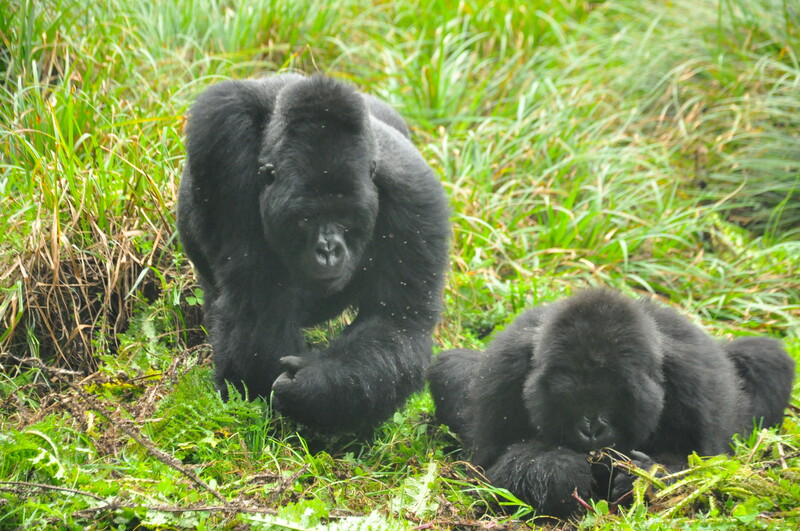 If you are interested in a Gorilla safari in Rwanda, please do not hesitate to contact us.